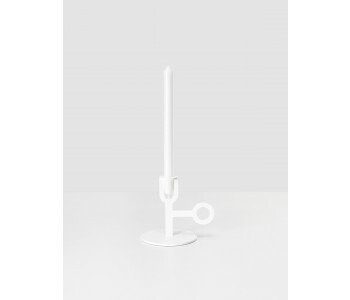 This low candle holder is made of steel in the color white. 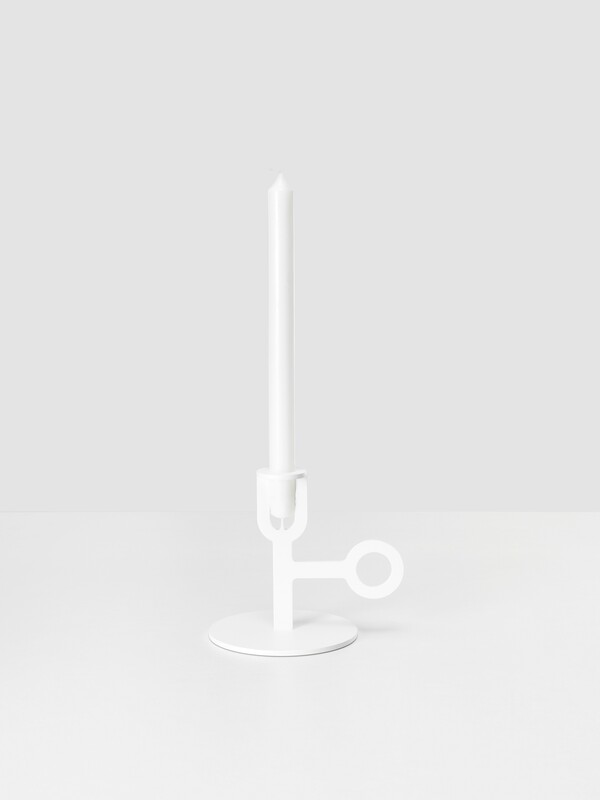 The candle holder is 13 cm high, 17 wide, and 12.5cm deep. 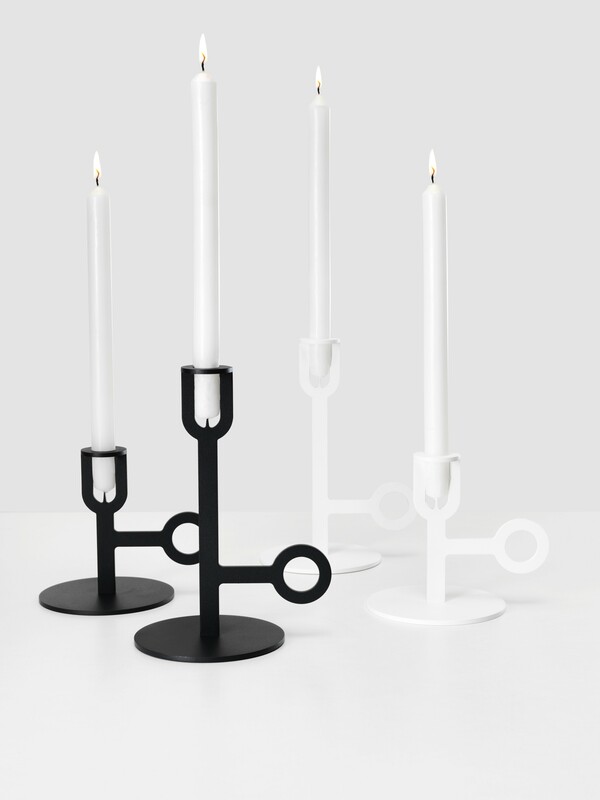 A combination of higher and lower Carry On candle holders in single or multiple colors creates a truly impressive spectacle of light and shadows.